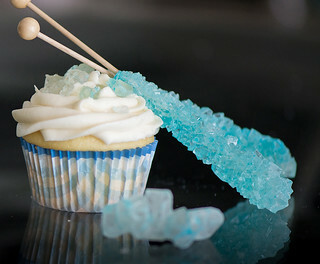 According to the Evening Standard, the Riverhill Coffee Bar in Glasgow, has made three batches of "Breaking Bad" cupcakes --inspired by the hit AMC show -- which features character Walter White, a high school chemistry teacher who takes to cooking Meth to pay for his treatment for terminal cancer. 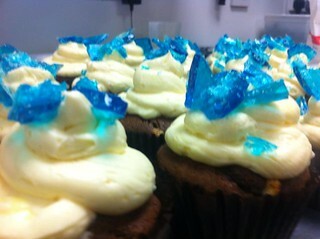 And here are some other Breaking Bad cupcakes. 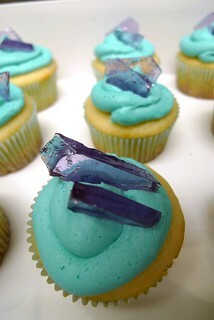 What do you think of this cupcake controversy? 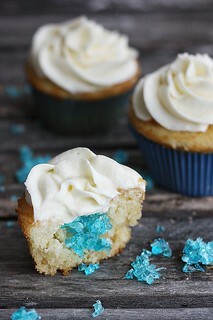 From Kailley's Kitchen, which has the recipe: "These cupcakes are a twist on Funfetti: a from-scratch vanilla cupcake recipe with pale crystal sprinkles stirred in, classic American buttercream, and –obviously– rocky candy 'blue meth.'" Come on people get over yourselves! 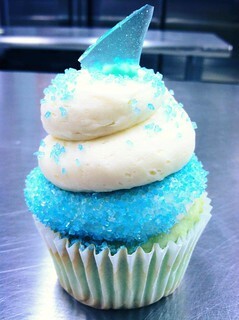 These cupcakes will no more make you a tweaker than Dexter will turn you into a serial killer. I'm sure this was tongue in cheek so lets have a good laugh and move on.